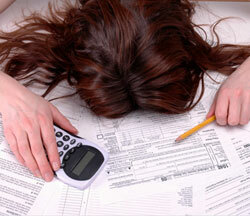 Dealing with the IRS can be a daunting experience. Perhaps you or your business is being audited by the Internal Revenue Service. You can become the subject of an audit for numerous reasons—perhaps you are a non-filer; perhaps the IRS received a referral from an employer or employee or contractor; perhaps a state or local government official referred you to the IRS; or perhaps another federal agency in which you did business with reported you to the taxing authorities; perhaps you used a tax return preparer who is under investigation by the government for filing or aiding others in filing fraudulent tax returns; or perhaps you were randomly selected for examination. The experienced tax lawyer at law firm of Coleman Jackson, P.C. represents individuals, businesses, and other types of entities in refunds, credits and tax abatement disputes, wrongful levies, liens and levies disputes, tax preparer negligence cases, jeopardy and termination assessments, trust fund penalty cases and many other IRS tax disputes and controversies. If you or your entity needs an experienced tax attorney for IRS representation, call Coleman Jackson, P.C. at 214-599-0431 or schedule and appointment online.